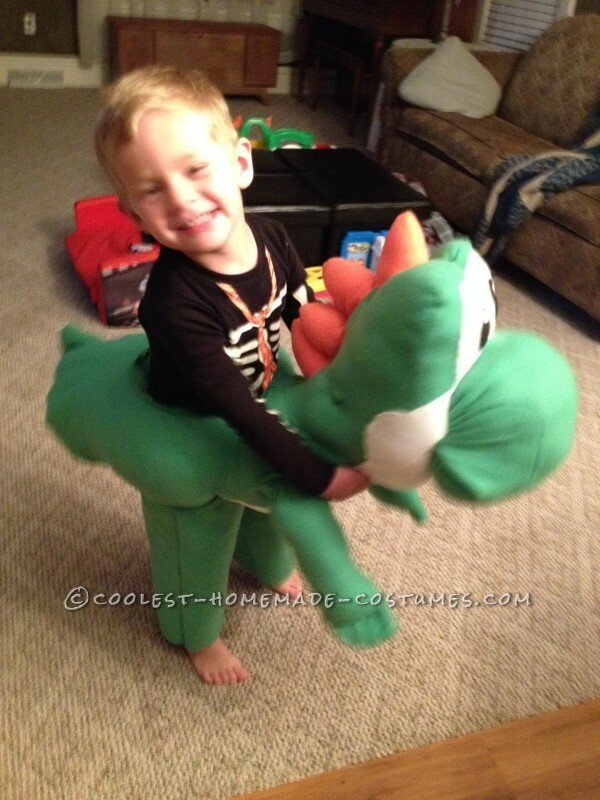 Cool Homemade Illusion Costume for a Toddler: Its Me Mario... And Yoshi Too! 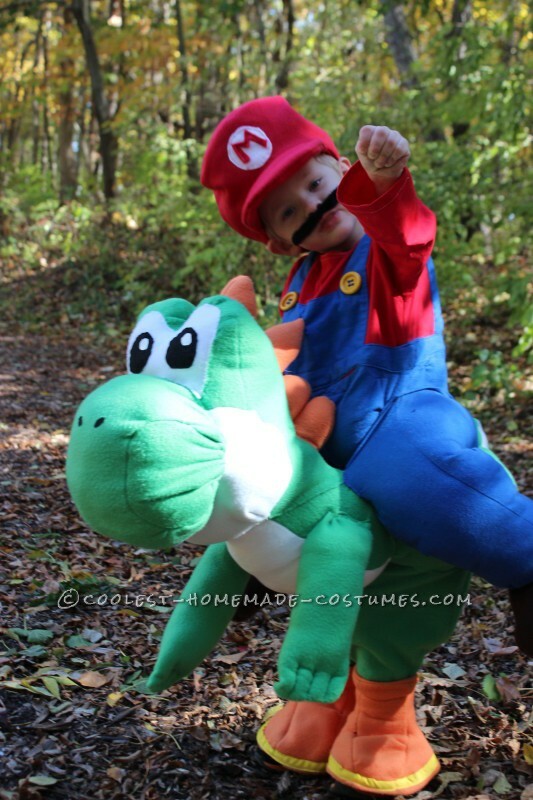 I am still trying to teach myself to sew, so when my 3 year old little boy told me that he wanted to be Mario riding on Yoshi, I knew I was in for a challenge. I searched the internet and used two other costumes that were of the same thing as guides, but there was no pattern for me to cut out and sew together for this, as I am used to. 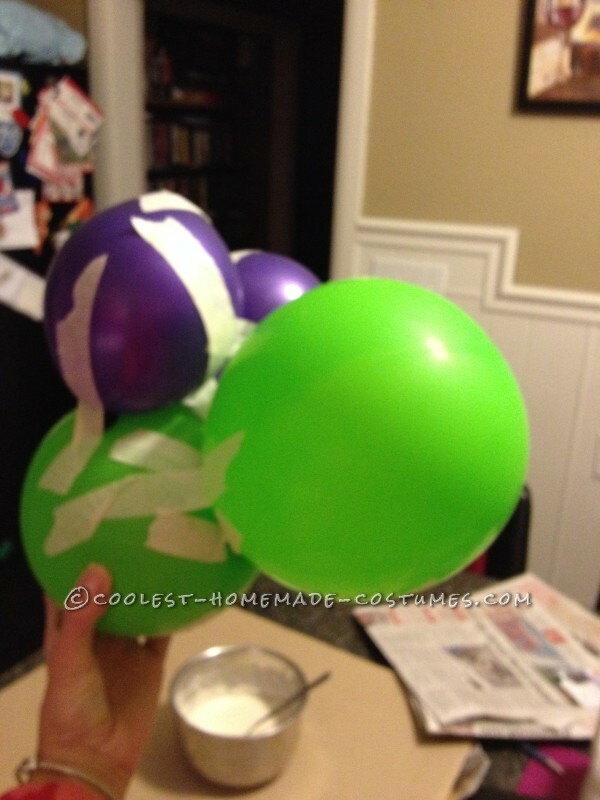 So, first thing that I did was create a guide outta paper machette to help me form the head of Yoshi. This took me a few days to do just this. 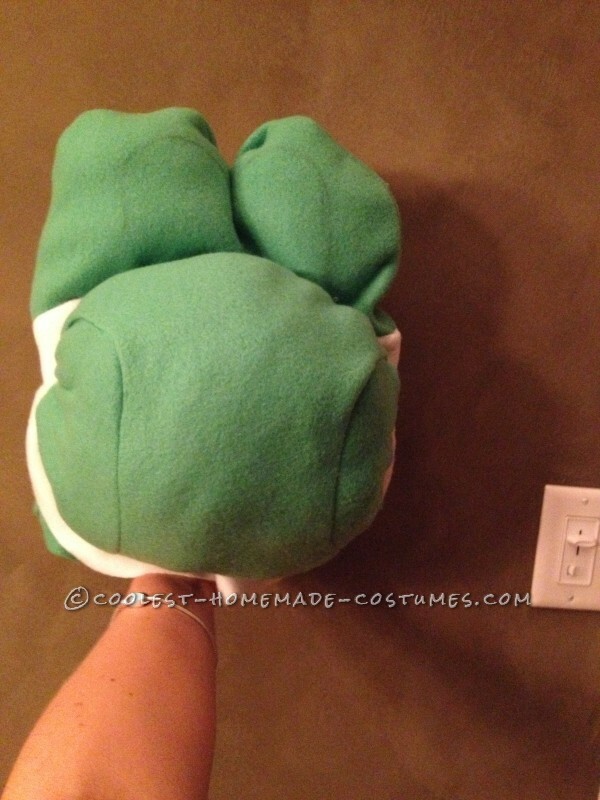 Hardest part was next with putting the head and then the body of Yoshi together and getting it stuffed up just right. 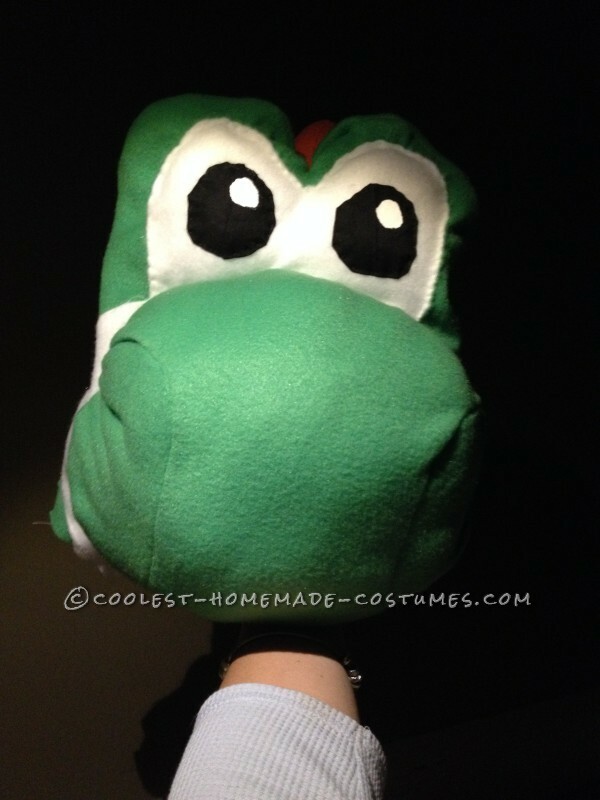 Mario’s suit was the easiest part, as I used a pattern for this, but getting his legs on there right, and sewing him on the opening in Yoshi’s body again got difficult. 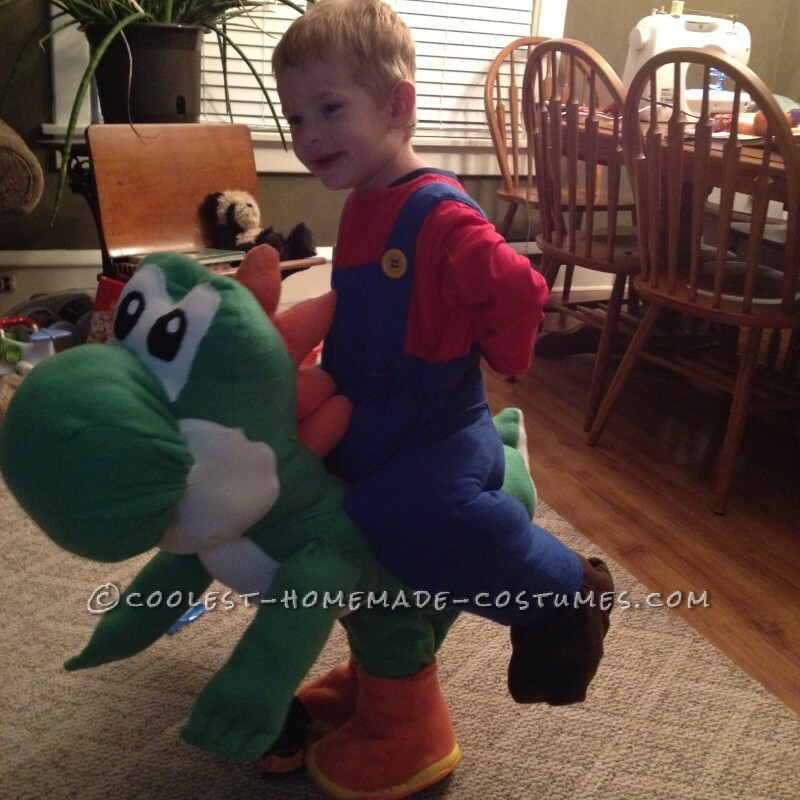 Finally after about a month of work, the Mario riding on Yoshi creation was complete! My little boy loved it, and loved all the attention that he got during our town’s downtown Trick or Treat. I don’t think that we passed a person without them commenting on how cool he looked. 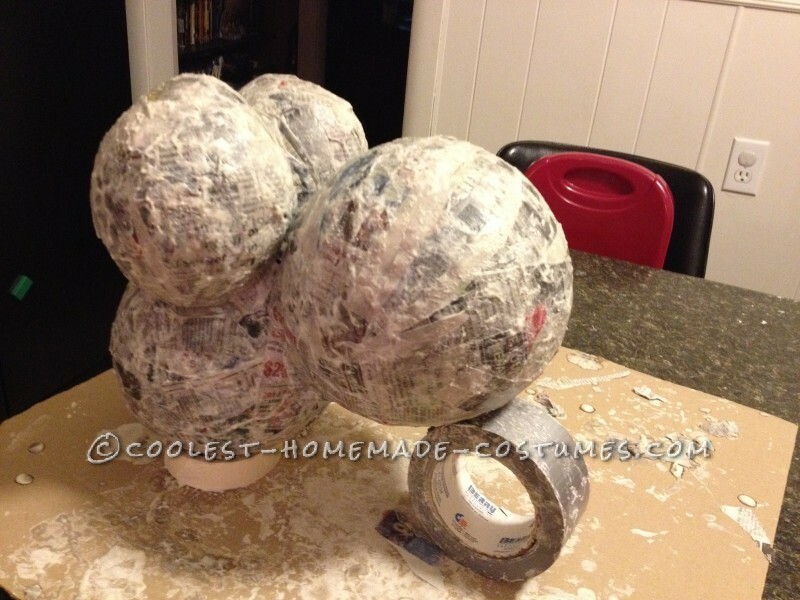 I love making Halloween costumes for my boys, and it is something that I look forward to doing every year. 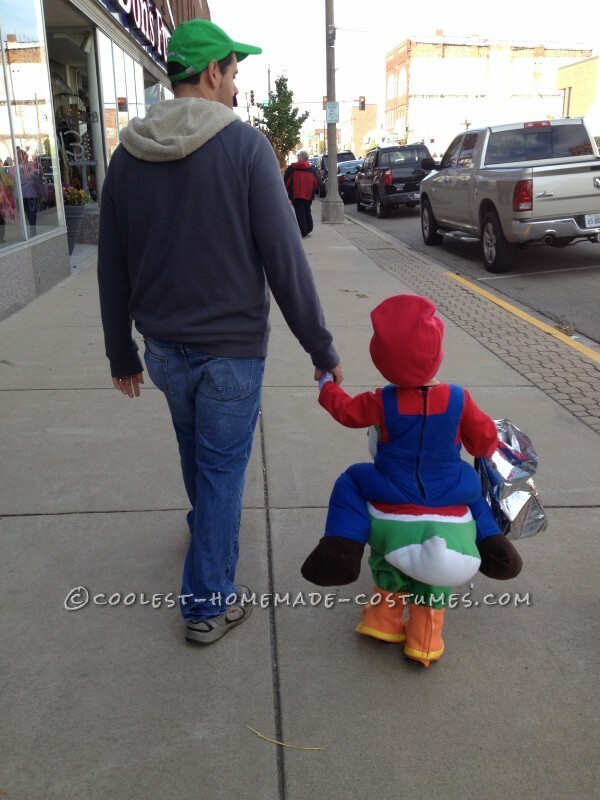 The best part of it all is his face when he puts it on and takes on the roll of Mario, as Mario is his everything right now, and the feeling of him being able to be Mario himself is just the greatest for him. I am very happy with my final product, and I think that it turned out pretty darn sweet. I love how you put this together! 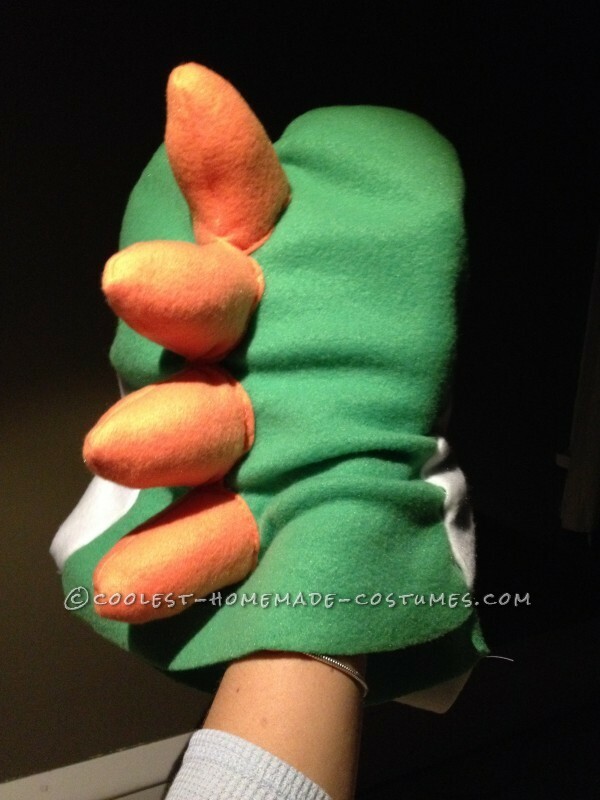 Any more advice or specific details would be very appreciated:) My son wants to be Yoshi, but the retail costumes just look like a dinosaur.